For this assignment, you will create a Jupyter Notebook with your answers to the questions below, and submit this Jupyter Notebook to a Github repository for the Final Project following the instructions below Part II: Submit Your Jupyter Notebook to GitHub. In your Jupyter Notebook, provide your answers for Sections 1 AND 2 and then choose one option for Section 3: either option A or B. Indicate in your Markdown documentation which option you have chosen for Section 3. For all sections, you will be asked to use data on fire occurrence in California from 1992 to 2015 provided by the United States Forest Service. You need to complete this assignment (Final Project) by Sunday, August 26th at 8:00 AM (U.S. Mountain Daylight Time). See this link to convert the due date/time to your local time. 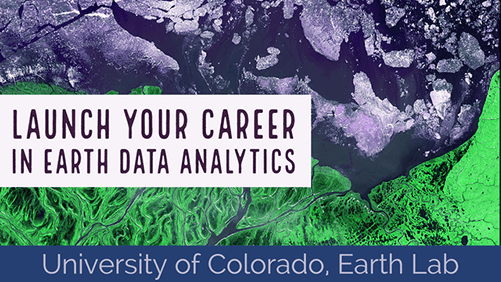 Be sure that you have completed all of the lessons from the Earth Analytics Bootcamp. Completing the challenges at the end of the lessons will also help you with this assignment. Review the lessons as needed to answer the questions. You will need to fork and clone a Github repository for the Final Project from https://github.com/earthlab-education/ea-bootcamp-final-project-yourusername. You will receive an invitation to the Github repository for the Final Project via CANVAS. Add a Markdown title (## Title) and some text before each code cell to identify each question. Describe the purpose of your code (e.g. what are you accomplishing by executing this code?). Think carefully about how many cells you should have to best organize your data (hint: review lessons for examples of how code can be grouped into cells). The data contains one record for every fire greater than 100 acres that occurred between 1992 and 2015. The dataset has columns for the size of the fire (acres) and for the year and month of the fire, along with other details about the cause, reporting agency, county name, etc. Use the appropriate functions to print the first few rows of the pandas dataframe and the last few rows of the dataframe. Note: as this dataframe contains many records, it is not helpful to print the whole dataframe. Use the appropriate function to calculate summary statistics of only the fire size (acres). the mean, minimum, and maximum fire size (acres) in this dataset. the total number of fires in this dataset. It can helpful to determine how to select the data you need first before summarizing it. You can also review how to run summary statistics on a specific column in a pandas dataframe. Use the appropriate function to calculate the total number of fires per year, and save as a new dataframe. Note: the displayed data below only shows the first few rows in the dataset. Review the use of groupby to run statistics on pandas dataframes. Think about what value you want to use to group the data and what value you want to use to determine the total number of fires. Use the appropriate function to reset the index of the dataframe created in the previous question, so that the year returns to being a column. Save the reset dataframe as a new dataframe. Create a plot of your choice (i.e. type, color) that displays the total number of fires for each year of data. Be sure to label your x- and y-axes appropriately and give your plot an appropriate title. Think about which dataframe you want to use for the plot and what data you need to plot. Write a function to convert the units of fire size from acres to hectares (i.e. a standard unit that represents 10,000 square meters). One hectare is equal to 2.47105 acres. Run the function you created in the previous question to convert the units of the fire size in your pandas dataframe from acres to hectares. Use the appropriate function to print only the first few rows to display the converted data. Review how to apply a function to a column in a pandas dataframe. Use the appropriate function to calculate the mean fire size (in hectares) per year and save as a new dataframe. Think about what value you want to use to group the data and what value you want to use to determine the mean size of fires. Create a plot of your choice (i.e. type, color) that displays the mean size of fires for each year of data. Recall the step you completed in Question 4 to reset the index after the groupby. Do the number of fires appear to be increasing over time in California? Explain and support your answer using your plot of total number of fires per year. Does the average size of fires appear to be increasing over time in California? Explain and support your answer using your plot of mean size of fires per year. Which result (i.e. total number of fires or mean fire size per year) do you think provides a more appropriate measure of fire danger in California? The dataset contains a row for each year specified in the dataset name and contains a column for each month (starting with January through December). The values represent the number of fires that occurred in that month and year, based on fires greater than 100 acres that occurred between 1992 and 2015. Write a function that calculates the sum across columns of a numpy array. Review the lessons on functions to review the use of axes to calculate a statistic across the rows or columns of a numpy array. Run the function created in the previous question (i.e. to calculate sum across columns in a numpy array) on the numpy array you created for CA-fires-month-count-1992-to-2015.csv. Save the output to a new numpy array. Write a function that calculates the sum across rows of a numpy array. Run the function created in the previous question (i.e. to calculate sum across rows in a numpy array) on the numpy array you created for CA-fires-month-count-1992-to-2015.csv. Save the output to a new numpy array. Manually create a numpy array that contains the month names for January to December and print the values in this new numpy array. Review the practice activity on data structures to review how to create a numpy array manually. Think about the values that are going into this array: are the values text strings or numeric values? Within your conditional statement, print a message stating whether or not both of these conditions are true. Review how to write a conditional statement that checks for two conditions. Imagine that you have been asked to write a short article for the public on the fire season (i.e. the range of time within a year in which fire is most likely to occur) in California. Review the data in your summarized numpy arrays (i.e. sum of columns and sum of rows), and choose the one of these arrays to create to represent the fire season in California. For your chosen array, create a plot of your choice (i.e. type, color). Be sure to label your x- and y-axes appropriately and to give your plots the approriate titles. What do the values in each of these numpy arrays (i.e. the one for sum of columns and the one for sum of rows) represent? Why did you choose the array that you plotted to represent the fire season in California? Based on the data you have analyzed, how would you define the fire season (i.e. the range of time within a year in which fire is most likely to occur) in California? How could you modify your workflow to examine whether the fire season was expanding over time? Think about how the data is organized and how you could split it up to look at how the fire season was changing over time. How could you have analyzed the pandas dataframe to get the same values? Outline a pandas dataframe workflow to arrive at the same values. Hint: think about the data provided in the original numpy array - do you have similar information in the pandas dataframe? To answer these questions, use the same pandas dataframe that you previously imported from CA_fires_1992_2015_gt_100_acres.csv. Use the appropriate function to calculate the total number of fires per county and save as a new dataframe. Sort your pandas dataframe from the previous question, so that you can determine the top five counties that have experienced the most fires. Note: the displayed data below only shows the first few rows in the sorted dataset. In what part of California are these counties? It can help to look at a map of the counties in California. Use the appropriate function to calculate the mean size of fires (in hectares) per county and save as a new dataframe. Sort your pandas dataframe from the previous question, so that you can determine the top three counties ranked in terms of largest mean fire size. For each of these counties, select all of its data from the original pandas dataframe from CA_fires_1992_2015_gt_100_acres.csv, and save each county to a new dataframe. Write a loop that executes the appropriate function to calculate summary statistics of only the fire size (acres) for each of the three counties identified in the previous question. the total number of fires for each county. Review your code from Question 2. The dataset contains a row for each year specified in the dataset name and contains a column for each month (starting with January through December). The values represent the mean size of fires that occurred in that month and year, based on fires greater than 100 acres that occurred between 1992 and 2015. Write a function to convert the units of fire size (acres) to square kilometers. One square kilometer is equal to 247.105 acres. Write a function that executes both of the functions you wrote in Questions 25 and 26, in the appropriate order: the conversion from acres to square kilometers and then, the calculation of the mean of the columns on an input numpy array. Review how to pass an implicit variable from one function to another (i.e. the output of the first function becomes the input of the second function). Execute the function created in the previous question to determine the mean across columns on values that have been converted from acres to square kilometers. Manually create a numpy array that contains the month names for January to December. Within your conditional statement, print a message stating whether or not the shapes are the same. These arrays have the same dimensions (i.e. shape). Expand the conditional statement from the previous question to plot the numpy arrays if their shapes are the same. Create a plot of your choice (i.e. type, color), and be sure to label your x- and y-axes appropriately and to give your plot an appropriate title. Recall that you can replace the print message with other code to execute tasks such as plotting. Guided Activity on Version Control with Git/GitHub to add, commit, and push your Jupyter Notebook for the Final Project to your forked repository for the Final Project (https://github.com/yourusername/ea-bootcamp-final-project-yourusername). Guided Activity to Submit Pull Request to submit a pull request of your Jupyter Notebook for the Final Project to the Earth Lab repository for the Final Project (https://github.com/earthlab-education/ea-bootcamp-final-project-yourusername). Include @jlpalomino in your message for the Pull Request to notify the instructor of your submission.